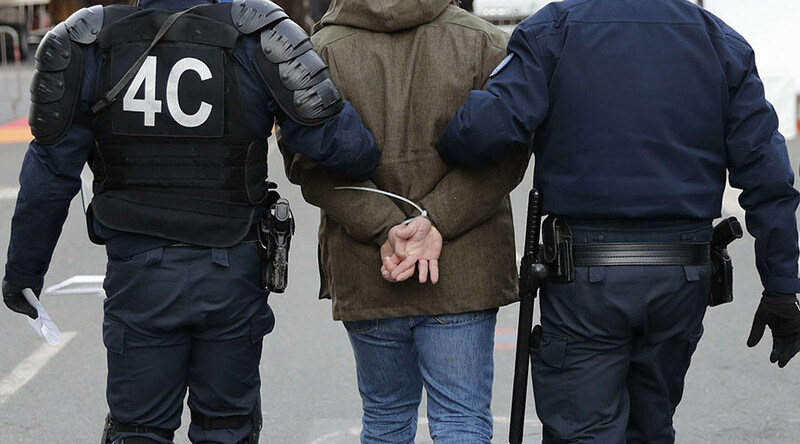 French anti-terrorism police have arrested four Islamist radicals on suspicion that they were planning an imminent terror attack in central Paris, TF1 television reported. The suspects, three women and four men, were detained at dawn in Paris and the nearby suburb of Seine-Sant Denis. Security forces reportedly had files on each person for their Islamist ties. Police also seized an unused cartridge for a Kalashnikov rifle, an alarm pistol, computer equipment, and a safe during the arrests. Among the suspects are Aytac and Ercan B., two French brothers of Turkish origin, and E. Youssef, an Islamist well-known to authorities. Youssef, 28, was previously arrested at Saint-Etienne airport with two accomplices in 2014, on charges that they were planning to travel to Syria to fight as terrorists. He was initially sentenced to five years, but was released in October 2015. He had been on house arrest until February 29. It comes just one day after a terrorism suspect was shot dead by police while firing at officers during a raid in Brussels. Paris remains on high alert following the November 13 terror attacks while left 130 people dead.